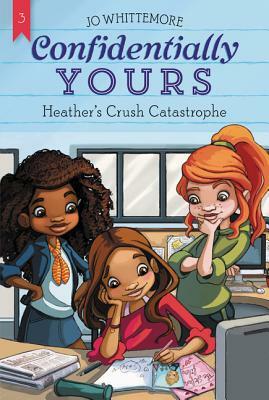 Heather has been distracted from writing the advice column with her friends Brooke, Vanessa, and Tim—and it’s all due to her major crush on the dreamy Stefan Marshall. Heather’s not sure if Stefan feels the same way. And she wants to make sure he likes her back before she takes the risk and asks him to the upcoming school dance. Heather researches all his favorite things and even sets up a movie outing with the newspaper team to try to get closer to him. But some of her friends don’t think Stefan’s all that great. In fact they downright don’t like him. Heather has to decide if her new crush is worth losing her old friends over, and if liking Stefan will only lead to heartbreak.